Marlene French, 80, of Jackson died peacefully in her sleep at home on September 2, 2018. She was born in Cumberland, Wisconsin on January 17, 1938 to Milan and Ethel (Pedersen) Momchilovich. She was the second of five children. Her brothers, John (Jack) and David Momchilovich preceded her in death. She was survived by her younger siblings, Neal Momchilovich and his wife Cathy of Olathe, KS; Linda Dilbeck and her husband Lyndon of Neosho, MO. Even though she moved away from Cumberland before she finished high school she enjoyed the class reunions she was able to attend because it was a close-knit community and included much extended family. She is survived by too many nieces, nephews and cousins. One cousin to whom she was especially close, like a sister, was her room-mate for a long time, Charlotte (Hansen) Thorpe. They spoke nearly every day. 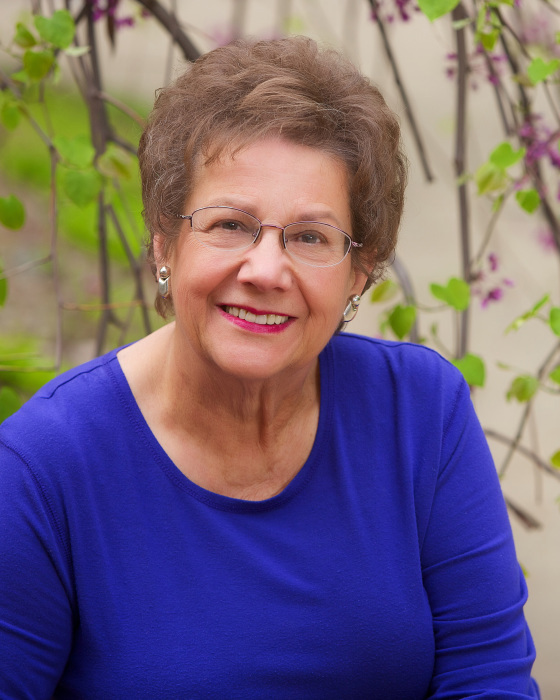 Marlene had a few events that shaped the rest of her life. The first was her baptism in July 23, 1953. It marked her personal dedication to Jehovah God and her relationship with God formed as the corner post in her life. She freely shared her faith along with her Bible-based teachings with others – it was the source of her inner strength. The next major chapter in her life began when she married Irving French on June 17, 1961. They met in Jackson and neither of their lives would be the same again. For 57 years, they were a power team that touched lives all over the world but especially many in the Jackson area. Marlene and Irving had lives that revolved around each other. They worshipped together, volunteered in theocratic activities together and traveled the globe together. To the end, she took care of him and laughed at his jokes, even if some hadn’t changed since 1961. Their home was known for its outstanding hospitality. No one could walk in Marlene’s home without at least sitting down to a cup of tea and it was probably going to involve food. Marlene was a stellar cook and warm hostess. Even after decades, people would talk about the meals they had at her house. If she found someone visiting needing a place to stay, even if it was for months, she followed the example of Lydia in Acts 16 and “just made them come” (NWT). Somehow, she managed to be hospitable even when she was not at home. She leaves behind a vast group of friends worldwide who will sorely miss her. In 1966, Irving and Marlene welcomed their only child Cara. Cara lived most of her life in the area and Marlene always loved and looked forward to spending as much time as possible with her. In 2004, Cara and husband Kurt Robertson made Marlene a grandmother. Marlene was besotted with Emma from the very first moment she laid eyes on her! This relationship was close to the very end. Marlene planned annual family trips where she, Irving, Cara, Kurt and Emma could make many precious memories. Marlene was the epitome of the life-long learner. She was always taking a class or reading an article on something that could help herself or others. When many people would have been looking to slow down, she focused on her long held interest in health. She became a Certified Natural Health Practitioner (CNHP) and maintained her practice to the end. Marlene, frequently, received calls from people all over the country and some days all over the world. Many people said they thought she had saved their life. While she took care of everyone, she took very special care of her mother-in-law, Mary Hannon Fosbender, who spent her final years in Marlene and Irving’s house. Marlene’s initial interest in health was sparked by her own mother’s battles with an early onset of severe heart disease. Sadly, all the knowledge in the world cannot out pace inherited sin along with genetics so we lost our dear wife, mother, grandmother and friend to a heart attack while sleeping. Her efforts to maintain her health brought the family many extra years with her and she was able to maintain her active lifestyle to the end. A memorial service will be held for her at 3 pm on Saturday, September 15, 2018 at Jackson High School Auditorium, located at 544 Wildwood Avenue, Jackson, MI 49201. Funeral arrangements are being done by Watson’s Funeral Chapel of Jackson. The family will be present starting at 1 pm for visitation. Donations and contributions can be made at jw.org.